We live on the earth. The earth is ‘our shelter’. The land on earth was once one large land mass called Pangaea. Because of continental drift and plate tectonics, we now live on seven continents and travel the five oceans. Check out this Plate Tectonics Pop-Up Book to see how the earth’s surface is constantly in motion or watch this video Plate Tectonics and Large Scale System Interactions. We live on mountaintops, in the plains, in the valleys, and on peninsulas and islands. We are able to live on the earth because of our atmosphere and the topsoil underneath. In fact, the earth provides us with the atmosphere, the biosphere, the geosphere and the hydrosphere. watch this video Earth Materials and Systems to see what each provides. Between these layers, everything we need to live is provided. Almost 8000 miles in diameter, the earth rotates about its axis, which is tilted at 23.5 degrees and takes approximately 365 days, or one year, to revolve around the sun. The earth receives the sun’s radiation at different angles, and higher and lower levels create the seasons. The Planet earth is our home. Enjoy this life on the earth. Tread on her gently! 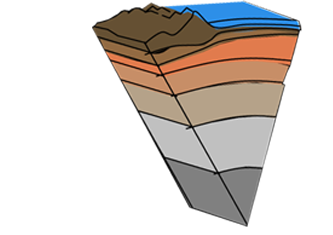 Activity 1 – Diagram A Section Through The Earth! Our earth is in a solar system. The diameter of the earth at the equator is 7,926.41 miles (12,756.32 kilometers) or app. 8,000 miles. 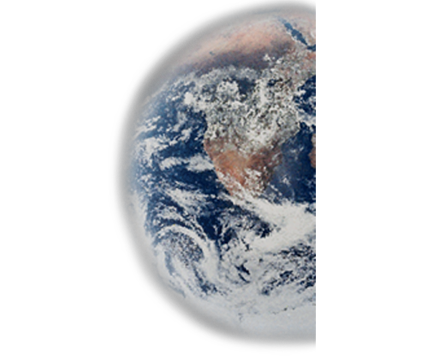 It turns out that the earth is not a prefect sphere but is actually only 7,901 miles (12,715.43 km) when measured through the poles, making it wider than it is tall, with a slight bulge at the equator. 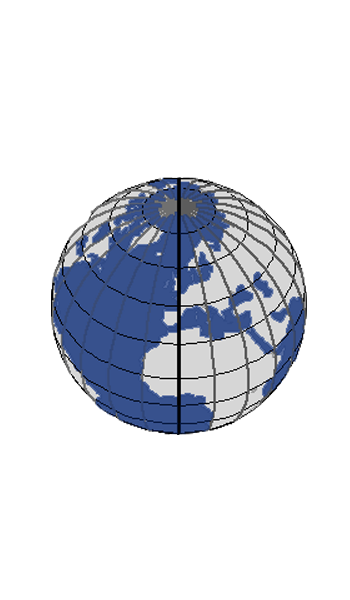 The earth’s shape is known as an ellipsoid or geoid. First, calculate the difference in the earth’s diameter at the equator and at the poles. Next, calculate how deep you would have to drill to get to the center of the earth. Next draw a section through the layers of the earth and label it. Activity 2 – Earth MOVES! Did you know that the earth that you are standing upon is in constant motion? Not only does the earth as a planet revolve around the sun, its crust is endlessly moving. Under the layers of the earth is intense heat causing the surfaces to pull apart, push together, tumble and split and explode and shoot out lava. The huge plates slowly move together and apart in what is known as plate tectonics. Discovered when mapping the oceans in the 50’s, the plates move apart along underwater oceanic mountain ridges that erupt with molten rock three times more than volcanoes on land. Dash the Juan de Fuca Ridge, the Mid-Atlantic Ridge, the Pacific Antartic Ridge, the East Pacific Ridge, South East Indian Ridge, Southwest Indian Ridge, and Central Indian Ridge. Draw a picture of the earth when the continents were together in a landmass called Pangea and draw the continents as they exist today. Take a look at Plate Boundaries and current volcanic activity. Can you see where the continents came from and where they use to fit together? Take a look at how scientists are studying the ‘yo-yo like’ movement of the earth’s crust. 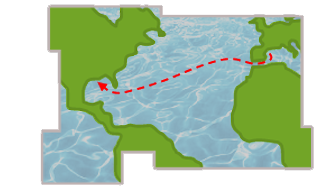 Activity 3 – Travel The Continents And Oceans! Print a map of the earth. Locate the seven continents and the five oceans. Color in the continents making the desert areas yellow, mountain ranges grey and the rest shades of green. Color the oceans and seas blue. Label Africa, Antarctica, Asia, Australia, Europe, North America, and South America. Next label the major oceans and seas. Almost every day the surface of the earth moves! Check out this live USGS map of recent earthquakes or Current Earthquakes. Scientists use the Richter Scale based on an algorithmic amplitude of waves recorded by seismographs, or machines that register in waves the energy expended in the movement of the earth’s crust. More recently the Moment Magnitude Scale and Environmental Seismic Intensity scale (ESI 2007) are used to measure earthquake intensity. The intensity of earth movement is scaled on the effects of the earthquake on the natural environment. These effects are considered to be primary or secondary after earthquakes happen. Primary effects cover immediate surface effects at the seismic source for crustal earthquakes of high magnitude, 5.5-6.0. Secondary effects are due to the ground shaking and include landslides, tsunamis, and surface breakage. Watch this video of Natural Hazards to see the cause and effect of activity in the skies and on our earth. Make a map of the largest earthquakes in history or consider modeling an earthquake proof structure! In the history of the world, there have been many great explorers who have bravely gone off on journeys to unknown destinations. From the Americas to the South Pole, people have dared to face the challenges of weather and geography to map the ‘corners’ of the earth. For example, watch TEDed’s How Magellen Circumnavigated the World. Pick an explorer from the web and research his or her path and mode of travel. Map the path on a world map, locating key stops, dates, and discoveries. If you could explore, where would you go? What is the current health of our planet earth? If we could take earth to the doctor, what would the check up report? When doctor’s check our health, what vital signs do they check? What if, for starters, we checked earth’s vital signs? Take a look at the state of our earth. Use the explore links to find out what scientists and researchers are observing. Take a look at the resources of The Habitable Planet. 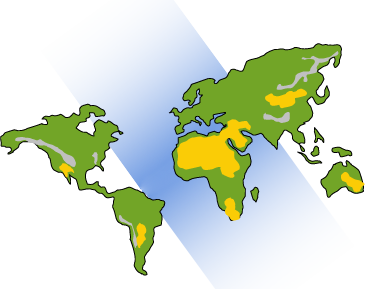 Check earth’s air, water, plant, forest, ocean, and biodiversity quality. Make a chart of what you find. Can you diagnose the health of our earth? What would you recommend? What does your lifestyle contribute or detract to the planet’s health. Take The Earth Day Footprint Calculator and see how many planet earths it would take for everyone to live just like you! Check its suggestions for making changes. Post your findings in the gallery. Be a caretaker of our earth! Geo Guesser: Where in the world are you?